One of the most challenging tasks about repairing or replacing a roof may be choosing an installer to do the work. In fact, finding the right roofer might seem just as daunting as installing the roof itself. There are a few simple tips to simplify your search for the top roofing contractor and make the project go smoothly. The most trusted resource to find a roofing contractor may be your own personal network. Reach out to friends and family to see who they have used in the past. Use social networks such as Facebook to broaden your search. Even if your friends and family don’t have the success story you’re looking for, they will most likely have a plethora of advice to share about their experiences. Take the time to research reviews of roofing installers in your area. Google offers reviews in their search results and other online services offer reviews of local companies as well. Consult the Better Business Bureau to ensure you’re choosing a reputable contractor. Use the form above to get connected with several roofing installers in your area that can provided you with detailed estimates and expert advice about your project. 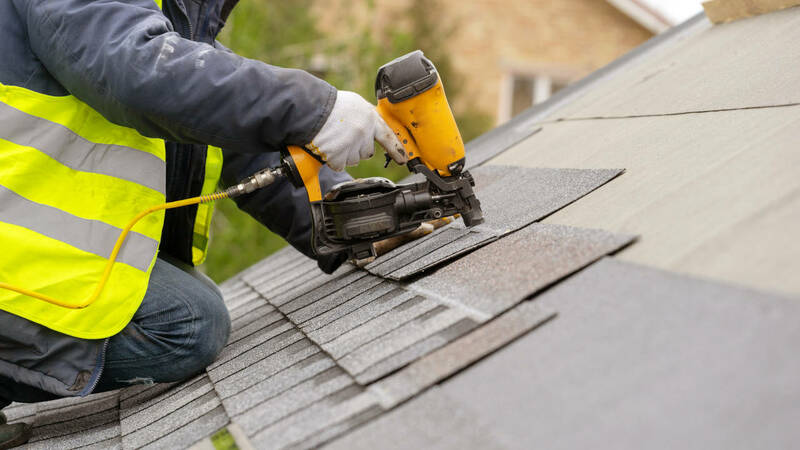 We can connect you with qualified contractors that specialized in roof installation. A roof installation is a major investment, there are a few things to look our for when hiring an installer. Make sure the roofer is insured and if necessary, licensed to work in your area. Be sure they are planning to obtaining any required permits and inspections for the project as well. Ask questions and understand exactly what the price includes. Know beforehand if the price includes removing the old roof, installing a waterproofing membrane, replacing vents or drip-edge flashing, work warranties, etc. It is crucial that this information is clearly documented on the contract. Get a timeline for the project and know when the contractor will begin and end the project. Ensure the completion date is part of the contract. Ask how the roofer will handle delays due to inclement weather. Get several quotes from different companies for the same project. Discussing the project with multiple people will allow you to get a better understanding of the work involved and the options available. Each person you talk to will have different ideas. Having multiple quotes gives you ammunition to get each contractor to give a more competitive estimate and to justify their price, maybe they’re including additional options that the others are not, for example.